Let wedding guests know your plan for the evening with these incredibly stylish (and helpful!) cocktail napkins featuring "the Wedding Celebration of" as shown with your names and your evening's itinerary. Design and wording are printed in your choice of foil color. Personalization Options: Choose from six napkin colors. Design and wording are printed in your choice of foil color. 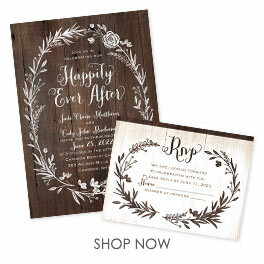 "the Wedding Celebration of" and the ampersand are printed in the font shown. Your wording is printed in your choice of fonts.